We’re delighted to have been shortlisted alongside some exceptional organisations for the Excellence in Design Award at the East Midlands Bricks Awards 2019. The Bricks is an independent awards and publicity programme organised by East Midlands Business Link Magazine, and they’re all about celebrating development projects and people in commercial and public building across the region – from offices, industrial and residential, through to community projects like leisure schemes and schools. The award, sponsored by Harlequin Office Furniture, recognises true originality in design excellence across a scheme or schemes over the last 12 months, whether this be aesthetically, functionally or in any other manner. 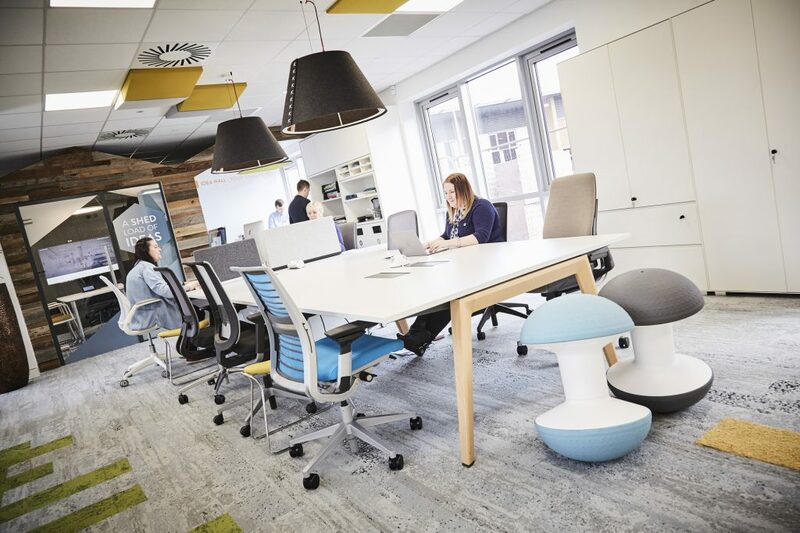 Our award entry talked about the project at our own head office, WorkLife Central, with a design based around the concept of open space and flexible working, and a real focus on ensuring ‘human beings’ can work at their best. With this project, we took a typical business park office building and transformed it into an agile work environment where we can accommodate up to 80 workspaces for individuals and teams. In reality, the quality and variety of places translates into a far more productive and healthier workspace for everyone who uses it. Relationships with our staff, supply chain and existing and prospective clients have been transformed through the project. Currently we’ve won design and fit-out work in 3 of the other 5 buildings in the Ivanhoe Business Park development alone. The scope of our own works included the design of feature stairs, the full mechanical system, lighting, acoustics and furniture. We’ve also combined branding with the pioneering use of biophilic materials and plant life to create a stunning interior geared towards making people feel comfortable, productive and motivated to give their best. Visitors to WorkLife Central often comment about our walls and ceilings featuring greenery! After all of the hard work that our whole team has contributed in creating the ideal home for our business, we’re looking forward to enjoying the awards ceremony at the Trent Bridge Cricket Ground on 28th March. Thanks to everyone who has supported us this far, and good luck to all of the other nominees.